The Rxg7+ Thunderbolt Opening: : Player(s): In the last two episodes of his weekly show, GM Larry Christiansen illustrated one of the most famous tactical motifs, the sac on g5 which takes place in openings like the Ruy Lopez. Now, moving on to a less common but more spectacular sac, Larry shows us a series of examples on the Rxg7 sac. One of the mantras that Larry repeats in his lessons is: "always look for those violent, forcing moves". And Rook takes pawn in g7 is a very violent looking move, especially when it's unexpected. Obviously, such a forceful sac needs preparation; the white pieces have to be positioned so that they can collaborate during the attack and the coordination is very important. 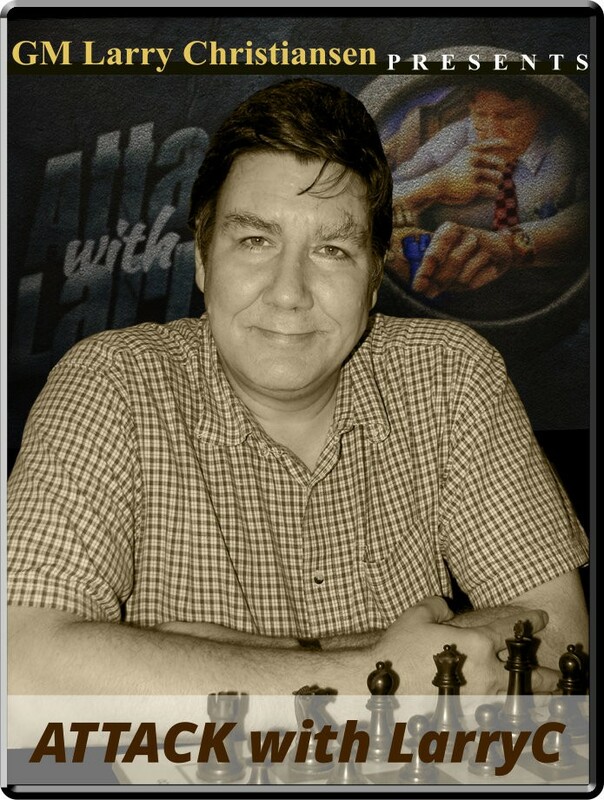 Enjoy another great episode of GM Christiansen's "Attack with LarryC! ".